In first instance Games Without Frontiers seems nothing more than a reference to the logo of the Olympic games. 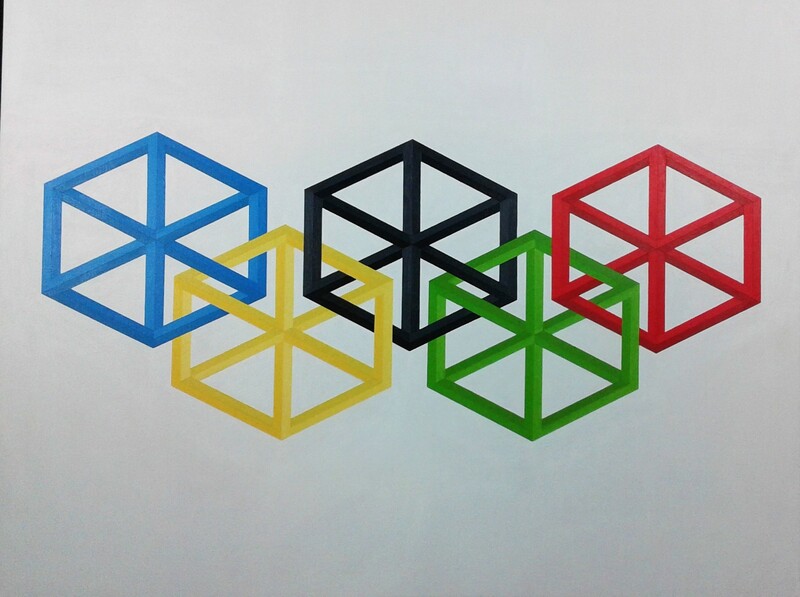 The painting also refers to the games being played around the Olympic Games. Everyone can participate and boundaries, wars and disputes seem to be gone for a second. However it's all a facade, behind the scenes countries and athlete's putting large amounts of money in developments, drugs etc. Everything to win the battle, because who's interested in the losers? We want to see winners and especially those from our own country. The title also refers to Peter Gabriel's song Games without Frontiers or more specific to the frases: "games without frontiers", "war without tears"
The painting is also about the mindgames being played with the impossible perspectives and how these perspectives break the frontiers of what's possible and what's not. Olympic games were coming up and I wanted to do something with it. I also wanted to experiment with different grades of the same color as I wanted to get more experienced in using different grades of different color in an harmonious way. 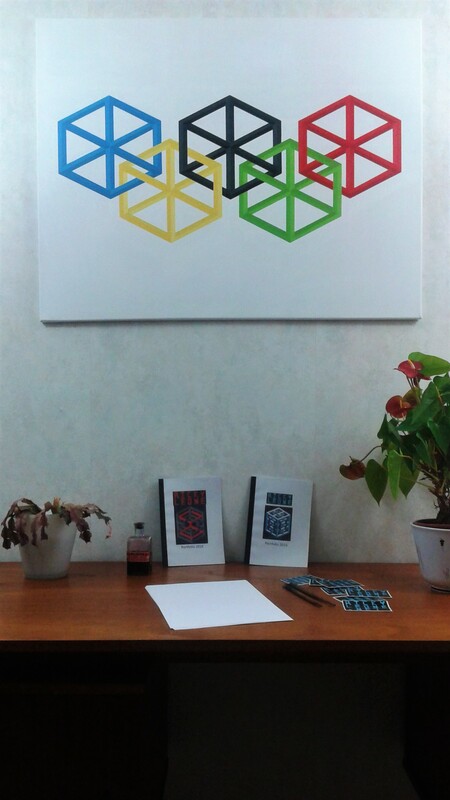 Doing something with the colorful olympic logo therefor was the most logical thing to do.